Ideal for individuals that need balance retraining. Steps are covered with foot friendly carpet. 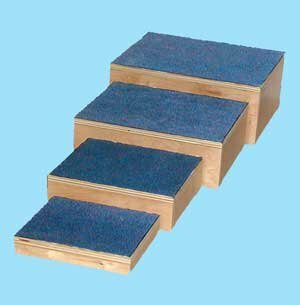 The steps come in sets of four with heights of 2", 4", 6" and 8". When not in use, the steps can be nested for storage. Comes with 4 steps - 2", 4", 6" & 8"